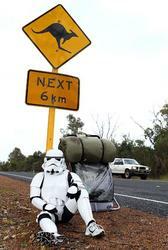 This is really a relaxing summer holiday for these iconic characters from Star Wars. 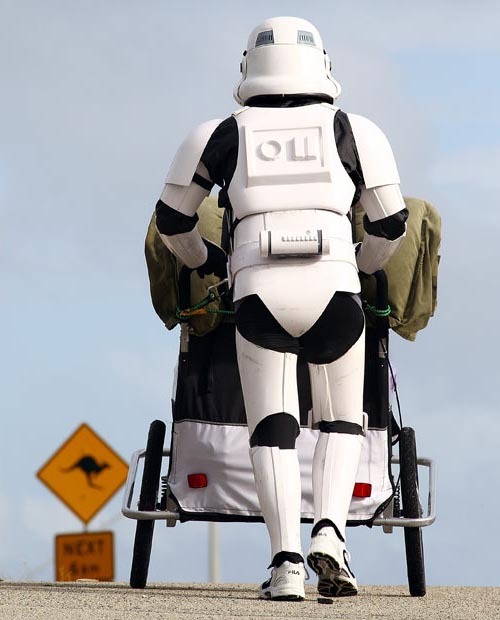 Darth Vader is on vacation, and his troopers are also enjoying sunshine and beach, while the following stormtrooper is walking across Australia. 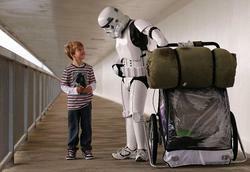 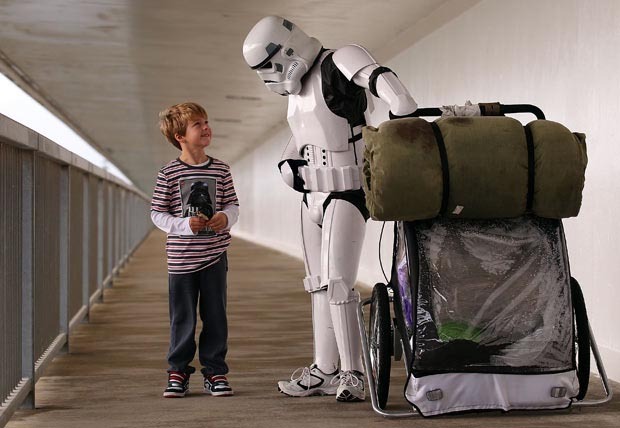 The man under the stormtrooper costume is Jacob French, a member of the 501st Legion. 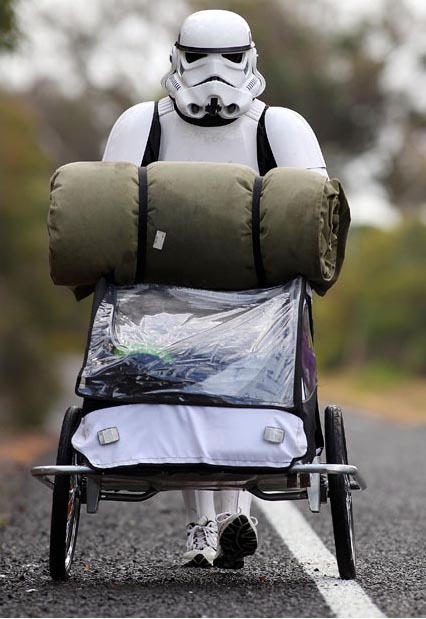 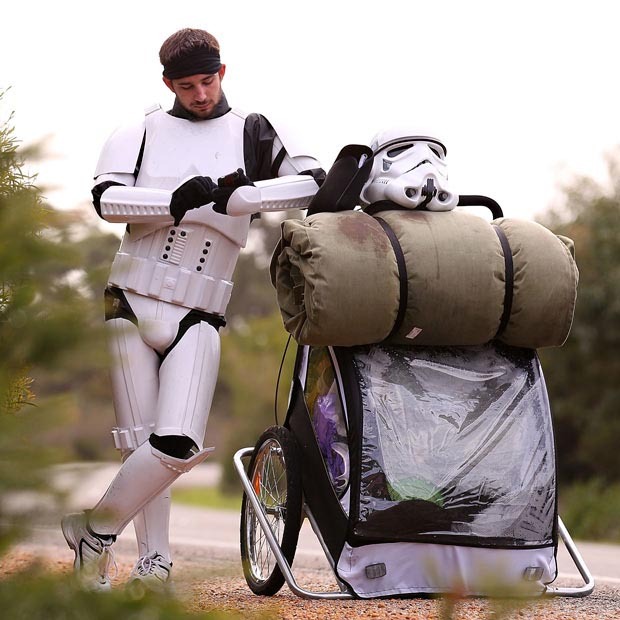 To raise awareness and money for the Starlight Children’s Foundation, which focuses on the lives of seriously ill and hospitalized children and their families, Jacob decided to walk from Perth to Sydney. 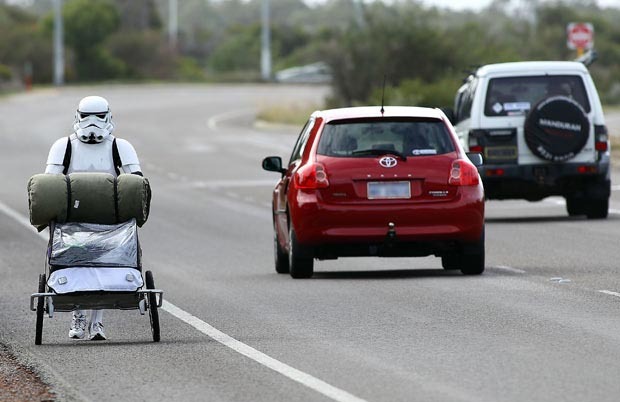 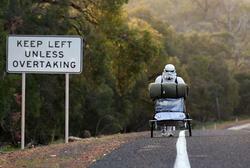 He will pass through 4 states of Australia and walk approx 5000km. 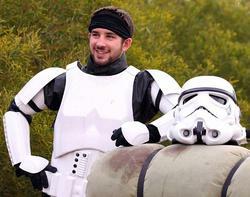 What’s more, he will be wearing the modified Stormtrooper armor. Apparently, this is not a relaxed tour. 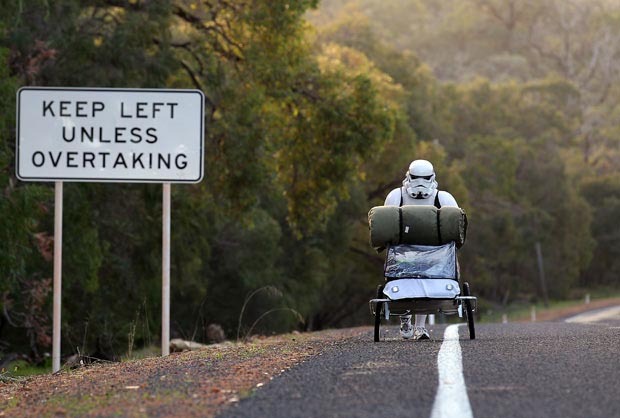 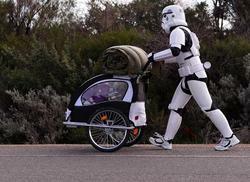 Wish his Troopertrek project will end with a success and get more attention on the charity.